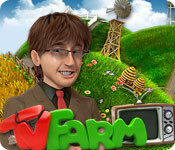 Become the hero of the hit reality show TV Farm! 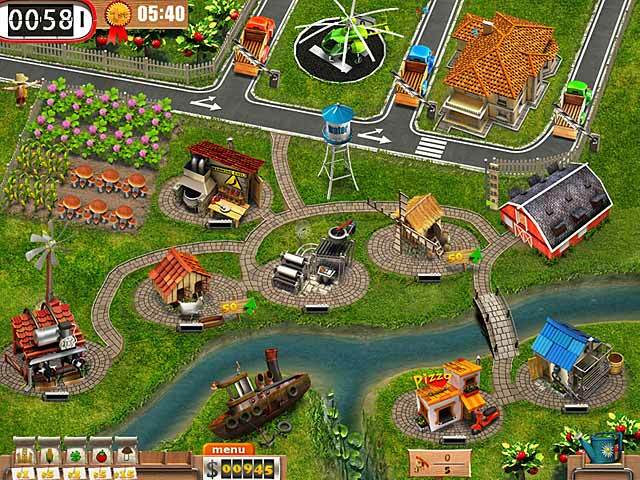 Grow plants, sell products, and improve your farm in this fun Time Management game! 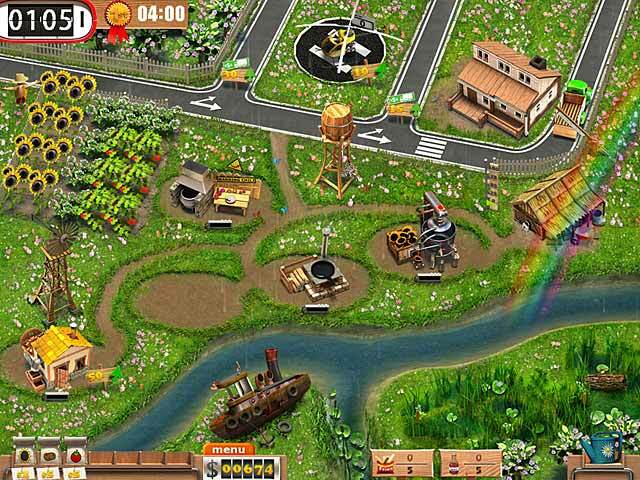 Become a TV star and a cult hero to farmers all around the world. Learn new skills and try you hardest to find success. Can you run your very own farm as millions of people watch on? Find out in TV Farm! TV Farm is rated 4.3 out of 5 by 20. 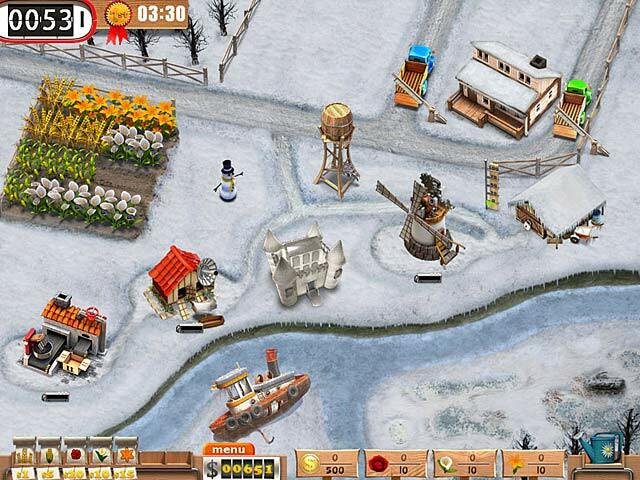 Rated 5 out of 5 by meme2222 from A good challenge This is an example of a good strategy game. In order to obtain a GOLD star you must figure out the exact combination of products to produce in the allotted time, since any combination will not produce output no matter how fast you work. Although game can progress if you do not opt for the gold you can settle for silver, bronze or just completion of goals in level without time being a variable. There is a decent number of levels to play and a lot of variation to the items so it doesn't get monotonous. Only fault is that it can get a bit clickity growing the produce where maybe a swipe for the field would of remedied that. 20 clicks each time you clear a field is strenuous on the fingers especially playing levels over and over trying to get that right combination for Gold. Other than that this game has all the qualities of an A game. I'm enjoying the purchase. Rated 5 out of 5 by ilovemynikki from I love this game I have played this game through so many times I've lost count. The levels vary from easy to difficult, but it's possible to get expert on every level. It's time management and strategy combined. There are several different ways to complete each level and it's fun to figure out the quickest way to do it. I really can't say how much fun I have had playing this game. Rated 5 out of 5 by MK08 from Loads of fun I really enjoyed this game. It had a lot of levels. I found the side story amusing. The challenges got harder and I often had to take a couple runs to get a gold time. I'm giving it a break but will happily start back at the beginning and play through again. Rated 5 out of 5 by bearcatsfords from Looking For Follow Up This game is so awesome. I keep changing my name and go back to the beginning to start over. Each time I go back I get better at receiving points. I am so relaxed and love this game I do wish they would come out with a 2nd Part. I totally recommend this game to anyone who comes across it. But please do test it. You will feel as great as I do about accomplishing the tasks. Rated 5 out of 5 by PEACHCAKE59 from Great Game This game is very fun! The graphics are great, and the levels add just enough difficulty to make it challenging and fun at the same time! Rated 5 out of 5 by goldenpeardrop from my favourite time management game! I love this game so much i rearly play anyother game now! i love replaying each level differently to get the best time. i also like the different products that you have to make and sell. this gives much varriety to the game play. when i have finnished the whole game i just start again, no two games are ever the same. Rated 5 out of 5 by hbgroadends from Fun TM game with lots of strategy involved Some TM games can become boring after a while, but this one held my interest all the way to the end. The different products needed to grow, develop, and sell kept the game from getting stale, as well as coming up with the best strategy to get gold on all of the levels. For instance, sometimes it was better to purchase products already manufactured than it was to make them. When it comes to TM games, I like the ones where you are not on a set timer, which tend to stress me out. You can play the level as fast or as slow as you want--longer times only mean you won't get gold or silver. This allows you to go back and play those levels in order to improve your times. Also, getting gold was not an impossible feat, as some TM games are set up. Overall, this game is worth the money and a lot of fun to play.